NOTE: Thanks to so many kids, more than I can count, for this post idea. So you think you want to be a neuroscientist? Great! But maybe you aren't so sure how to get there. Here's your how-to guide, from someone who's made it through to the end. First, there's one thing you need above all else. If you have this one thing, it's going to be a lot easier. YOU MUST LOVE THE BRAIN. I'm serious. That's the most important thing. There's some rough sections on the path to neuroscience-dom, but if you love the brain, you'll make it through. Have fun and enjoy the world. Maybe do a science fair. Congrats, your work here is done. Life's starting to get a little weird. Social rules are more difficult to comprehend. Maybe you're getting teased for being a science geek. It's okay. Stick it out. Your grades don't have to be fabulous, but don't fail anything. It's okay if you get a few C's. I did. But I got A's in all my science classes. This was partly because I was smart, but mostly because I loved science. The point is, middle school's stressful enough without adding more stress over a C or two. But you should still apply yourself, especially in those science classes. For the awkward kids, a side note: I remember middle school as the worst time in my whole life. The worst. Today, I'm over-the-moon happy with my life, with a great job and wonderful friends. So stick it out. IT GETS BETTER. This is where colleges start paying attention, so you need to pay attention to those grades. Again, a C or two won't kill you, but don't fail anything. You need to get into college (Canadians: by "college" I mean "university"), one that has a neuroscience research program. So apply yourself. Extracurricular activities are good. Colleges love extracurriculars. I graduated high school with a 3.6-3.8 GPA (I don't actually remember). I was a member of zero honors societies. I took 4 AP courses and passed 4 AP tests. I picked up a C or two along the way, but I got A's in all science classes. My SAT score was a 1450 (back when SATs were out of 1600). I ended up going to University of California, Davis on a partial merit scholarship. My point is that you don't have to be perfect, but you do have to be good enough to get into a research university. I got Cs, but I had a clear ability for science. 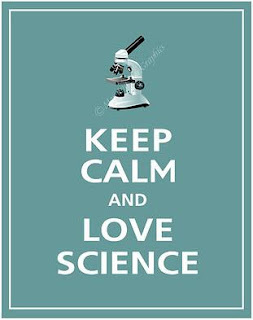 The key is: never lose sight of that love for science. The key here, the absolute most important thing you can do, is GET RESEARCH EXPERIENCE. That's why I told you to pick a school with a research program. Yes, grades are important. Get good grades.You don't have to major in science (though it helps). What you need to do is RESEARCH. You need to do this because when you hit graduate school, all you'll be doing is laboratory research. Grad school supervisors look for enthusiastic people with good research backgrounds and good letters of recommendation. How do you get a good letter of recommendation? Why, work in someone's lab, of course! Then they'll know you well, and can write a glowing letter about how much you love neuroscience and what a hard worker you are. This is also important because you need to find out now whether you even like being in a lab. Because if you don't like lab work, don't try for a Ph.D. I spent two years working in a food microbiology lab and one year working in a neuroscience lab. While working in the neuro lab, I did my own research project and wrote it up as an undergraduate honors thesis. I highly recommend this. It's pretty much a requirement if you want to be competitive. Congrats! You made it to the Ph.D. Now enjoy spending the next 6 years in indentured servitude. Grad school is hard. At some point, probably in your third year, you're going to want to quit. You'll end up sleeping in the lab on multiple occasions. Your romantic life will quite possibly be in shambles. You will be broke and living off oatmeal and ramen noodles. But that's okay. Why? Because you have the most important quality that someone needs to become a neuroscientist. YOU LOVE IT. When you get new data, your heart pounds and you get giddy and you want to show the whole world. You gush to everyone you meet about how awesomtastic the brain is. And it's because you love it that you'll make it through this final trial. I think anyone contemplating an academic career should meet with real faculty early and often in undergrad and grad school, and learn about the ins and outs of professorship (if that's the end-goal). I got lots of advice telling me to talk to those who were one step ahead of me in terms of progress and to hear about their experiences, and while this helped me to know what to expect from grad school, it never really helped me decide whether or not I was on the right path. It turns out I wanted the knowledge and understanding, but I didn't want to devote my life to incremental little refinements of that knowledge on one little patch of flotsam in the vast ocean of science, nor to justifying why little patch of flotsam should continue to get funding year after year. I wanted to create stuff with that knowledge, and professorship was the wrong place to be. Had I known this earlier, my time in grad school could have been a lot less stressful and perhaps even shorter. I think it was about a year into my PhD when someone pointed out to me that regardless of how many PhDs a supervisor graduates, only one is required to fill his/her shoes upon retirement. The rest just wash up on the shores of a mysterious land called "Industry". I think this is a really good point - passion for science can get you through the stress of the PhD (including the working-on-the-weekends requirement), but the PhD isn't the only thing you can do with that passion. For some people - depending on what you want and what the job market is like - the PhD may not be the best path. Meeting with faculty early and often is excellent advice. I wish I'd done this - I might have been better prepared for the absolute stress-mess of the PhD, and I might have found out earlier that what I really want to do with my knowledge is teach. Thanks for the input, Lionel! i messed up and i almost finished college with 0 research experience. And now i am applying for grad school..
i love the brain, but i don't know if being a researcher and devoting countless hours of my life advancing one single aspect of a field, which may just be invalidated 20-30 years later if they can't reproduce it..i don't know if i really want that. I wish i had a way to know. But for now i need to take the plunge, and get into grad school and experience first hand what independent research is all about. I wouldn't mind working on weekdays, as a student i spend weekdays studying anyway, so i am sure it will be alright..i think. How much stress can i take? This is impossible for me to understand until i do the work. Because the brain is really good at adapting, as long as you stick to it and don't quit when it gets uncomfortable. Well,I am a high school student and I love brain. I have a very keen interest in learning how the brain works. It always fascinates me. Thanks a lot for sharing your immense experience. i really want to be a neroscientist, but im not inlove with the brain. I just find that it's extremly interesting. Is that still good enough? Can any one plz tell me which subjects should i choose for becoming a cognitive neuroscientist? Saw a site talking about that. It's a bit tricky because maybe you have to take something that's in the field of psychology but the site was not all clear on that. I'm only a teenager but I love science and want to become a nureoscientist I have all a's and in evince I have a 101.56% my Gpa is 3.8 am I in good shale to become one? hi! Quick question, I'm a junior in high school with decent grades n all that shenanigans and I was wondering, what can I do as a high school student to get more learning on neuroscience and really get the feel of what it is. Hi, I really want to be a neuroscientist, and I'm really ambitious, but i'm worried that if I don't get into like an ivy league or something that I won't be able to go to a really good grad school, but i don't even want to go to an Ivy League because I want to go to a small school. What should I do?